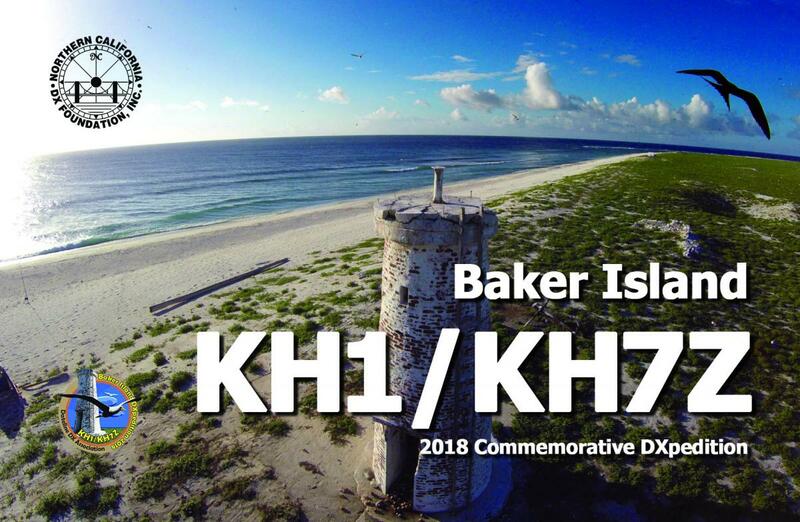 Dateline DX is pleased to announce the final design of the front of our commemorative QSL highlighting both the history of and the unique nature of the Baker Island National Wildlife Reserve. Inside you will find the story of colonization, Amelia Earhart and our operation. OQRS is now open at https://clublog.org/charts/?c=KH1/KH7Z and we expect cards will be in the mail by the beginning of September. Over 25,600 QSL records have been uploaded to LOTW already (as a result of OQRS orders and donations) with over 19,000 matches. Thank you to all our supporters who helped make the 2018 Baker Island DXpedition a success.